A window of opportunity for agriculture has opened up ‒ can we seize it? 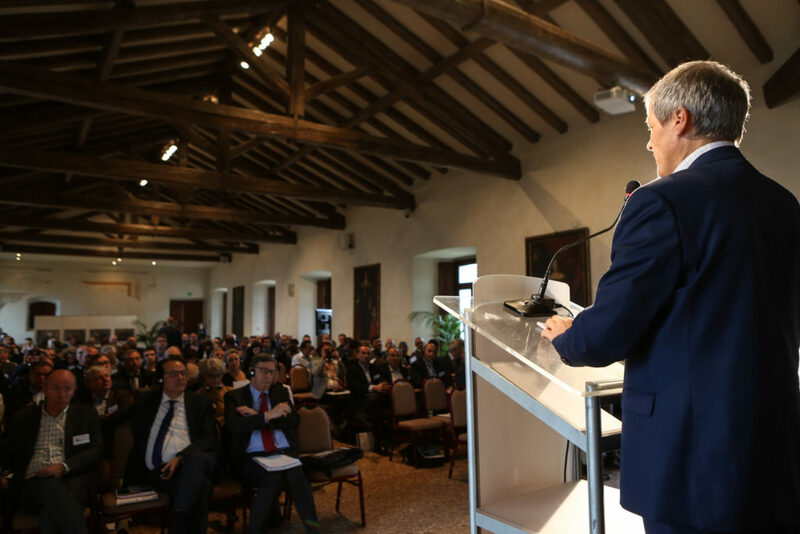 This weekend, the 2nd edition of the Global Food Forum, organised by Farm Europe in partnership with Confagricoltura, brought together around 200 economic and political leaders from 13 Member States in Susegana (Italy) in order to discuss the future of food systems and EU policies towards them. The consensus among participants was that a genuine European approach is needed to build a common and shared ambition, to secure the integrity of the internal market and to ensure solidarity between territories. Once it has been definitively adopted, the new ‘agricultural Omnibus’ (1) ‒ which was unanimously welcomed by the participants ‒ offers Member States an immediate opportunity to build such an approach, which they must seize. The new provisions on competition rules and risk management offer a chance not only to strengthen agriculture’s ability to cope with climate and market risks, but also to rebalance the food supply chain. Direct payment must continue to play an important role and new financial tools such as insurance and mutual funds need to be further developed. But in addition to these short to medium term dynamics, the Forum concurred that the European Union should take the opportunity of the next reform of the CAP and of the discussions on the post-2020 Multi-Annual Financial Framework to develop enhanced crisis management mechanisms so that agriculture is fully prepared for even the most devastating events that may occur in the future. The creation of a strong pluriannual crisis reserve should be considered in the context of the up-coming budgetary discussions. The Forum also explored how to meet sustainability goals. In this regard, economic stakeholders are willing to contribute to the environmental challenge with practical solutions for reducing the footprint of food production and contributing to climate change mitigation. If we are to move forward in unison and achieve tangible results on the ground the solutions will need to be based on a renewed confidence in science and innovation, and on investments. The development of precision and digital farming as well as technologies such as New Plant Breeding Techniques should be encouraged and, in the meantime, the emergence of the EU bioeconomy should not be undermined by political decisions that depart from scientific evidence and guidance ‒ including on very concrete issues such as EU-sourced biofuels, which should be part of the EU’s sustainable energy mix. To make this possible the EU needs to propose a clear and comprehensive policy architecture, including via the Common Agricultural Policy. But the EU needs to be careful : subsidiarity and flexibility should not lead to a weakening of the level playing field between farmers, and any additional distorsion of competition in the internal market must be avoided, in particular when it comes to environmental regulations. The first pillar of the CAP should continue to play its role as a fully integrated tool, providing a clear framework for all farmers across Europe. 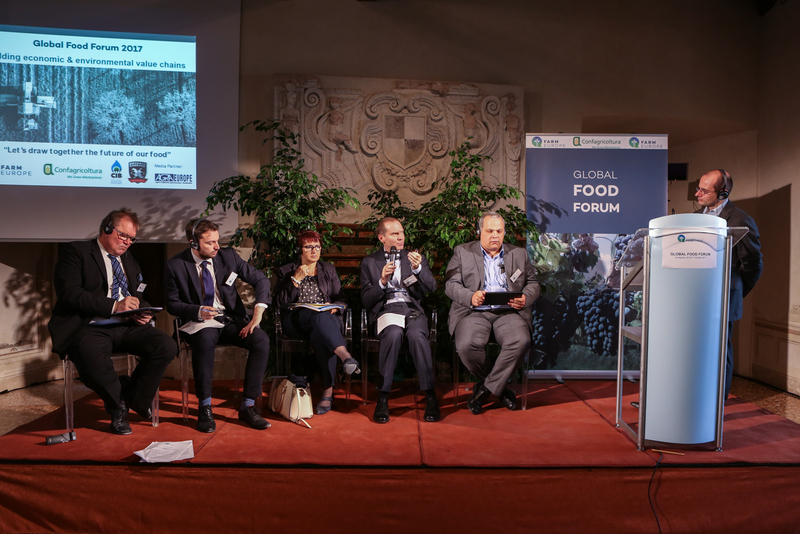 The final report of the 2nd Global Food Forum, which draws on a year of consultation and discussion among stakeholders, will be presented to EU decision-makers at the European Parliament in February. (1) Based on the basis of the inter-institutional agreement agreed on October 12.